Chilliwack – OCTOBER 4 UPDATE – Brad Genereux, a worker at Chilliwack Cattle Sales—the largest dairy factory farm in Canada––was sentenced to 45 days in jail by the Chilliwack Provincial Law Court after pleading guilty to two counts of animal cruelty earlier this year. Genereux is also prohibited from having custody or care of large animals, such as pigs, cows, and horses, for 18 months. He is the sixth Chilliwack worker to receive a jail sentence for the animal abuse revealed through Mercy For Animals’ investigation. 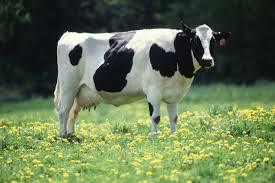 the other sentence was a $350K fine against Chilliwack Cattle Sales. SEPTEMBER 26 UPDATE – Jonathan Talbot, a worker at Chilliwack Cattle Sales—the largest factory dairy farm in Canada––was sentenced to 35 days in jail by the Chilliwack Provincial Law Court. Talbot is also prohibited from having custody or care of large animals, such as pigs, cows, and horses, for two years. SEPTEMBER 6 UPDATE – Jonathan Talbot, a worker at Chilliwack Cattle Sales—the largest factory dairy farm in Canada—pleaded guilty to a total of 2 counts of violating the BC Prevention of Cruelty to Animals Act and 1 count of violating the BC Wildlife Act. Talbot will return to the Chilliwack Provincial Law Court for sentencing in a few weeks. Talbot’s guilty pleas follow a hidden-camera exposé by Mercy For Animals, an international farmed animal protection organization. This is the eighth instance of animal cruelty convictions after the release of grisly undercover video footage showing workers viciously kicking and punching cows; beating cows with chains, metal pipes, canes, and rakes; and gleefully poking and squeezing festering wounds of cows suffering from oozing infections and gruesome injuries. To date, five other workers have been convicted of multiple counts of animal cruelty and sentenced to jail time and fines. These convictions mark the first time in Canadian history that factory farm workers have been sentenced to jail for animal abuse exposed through an undercover investigation by an animal protection organization. In December 2016, also stemming from this investigation, Chilliwack Cattle Sales and one of its owners were convicted of animal cruelty and ordered to pay fines totaling almost $350,000. The cruelty exposed through Mercy For Animals’ footage prompted BC agricultural minister Norm Letnick to amend the BC Prevention of Cruelty to Animals Act to incorporate the Dairy Code of Practice. Mercy For Animals is calling on all provinces to incorporate the Dairy Code of Practice into their animal cruelty legislation. Giving the Dairy Code of Practice the force of law will require the dairy industry to follow basic minimum standards for animal welfare and help prevent many of the worst abuses documented at Chilliwack Cattle Sales. To view the undercover video that led to today’s convictions, visit CanadaDairy.MercyForAnimals.org. JUNE 28 UPDATE – Cody Larson and Lloyd Blackwell, two former workers at Chilliwack Cattle Sales—the largest dairy factory farm in Canada—pleaded guilty to a total of three counts of violating the BC Prevention of Cruelty to Animals Act. The Chilliwack Provincial Law Court has sentenced Larson to 20 days in jail and a fine of $4,000. He will serve his sentence on consecutive weekends, beginning this Friday, June 30th. Larson is also prohibited from having large animals such as pigs, cows, and horses in his custody or care for a year. Blackwell was sentenced to pay a fine of $7,000 and he is prohibited from having large animals in his custody or care for three years. Both offenders have two years to pay their fines in full. These workers’ guilty pleas follow a hidden-camera exposé by Mercy For Animals, an international farmed animal protection organization, and are the sixth and seventh convictions after the release of gruesome undercover video footage. On May 18, 2017, after guilty pleas stemming from the same animal cruelty investigation, the Honorable Justice Gary Cohen sentenced three former Chilliwack Cattle Sales workers to a total of 127 days in jail and prohibited them from having custody or control of any animal for a total of seven years. This marked the first time in Canadian history that former factory farm workers had been sentenced to jail for animal abuse exposed through an undercover investigation by an animal protection organization. In December 2016, also stemming from this investigation, Chilliwack Cattle Sales and one of its owners were convicted of animal cruelty and ordered to pay fines totaling almost $350,000. JUNE 15 UPDATE – The four workers who entered guilty pleas for animal abuse at Chilliwack Cattle Sales, were back in court. Cody Larson – 20 days in jail, a $4,000 fine, a one year prohibition on owning or caring for large animals, and from receiving remuneration from working with animals (joint submission). Lloyd Blackwell – no jail time, a $7,000 fine, a three-year prohibition on owning or caring for animals, and from receiving remuneration from working with animals (joint submission). Brad Genereux – 60 to 90 days in jail, a three-year prohibition on owning or caring for animals, and from receiving remuneration from working with animals. Jonathon Talbot is scheduled to appear in court on June 27th. 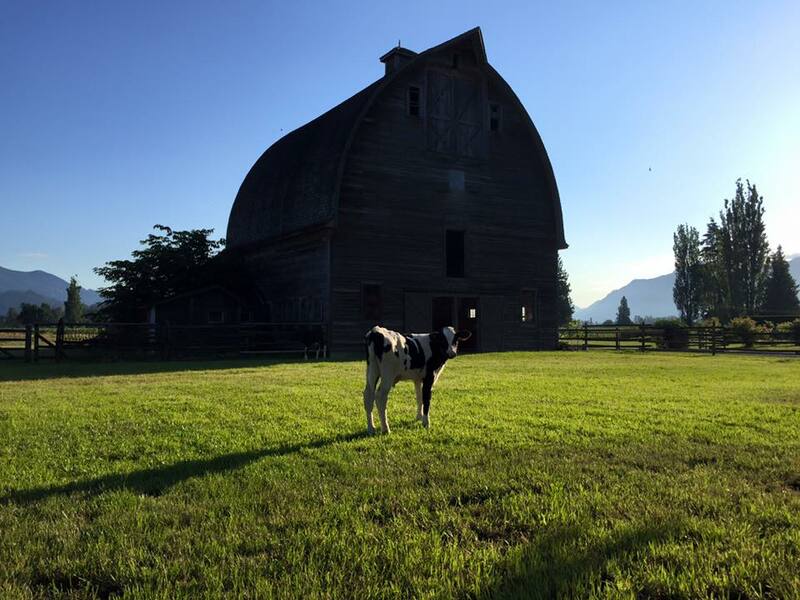 MAY 29 UPDATE – On Monday May 29, four more workers of Chilliwack Cattle Sales—the largest dairy factory farm in Canada— entered intentions to plead guilty to violating the BC Prevention of Cruelty to Animals Act on what was scheduled to be the first of a 12-day criminal trial. Lloyd Blackwell, Brad Genereux, Cody Larson, and Jonathan Talbot will admit that they viciously kicked, punched, and beat cows, and used chains and tractors to lift sick and injured cows by their necks. Talbot also entered an intent to plead guilty to violating the Wildlife Act for molesting a bird. The Chilliwack Provincial Law Court plans to convict and sentence Larson on June 8, 2017 and convict and sentence Blackwell, Genereux, and Talbot on June 14 and 15, 2017. These intentions to plead guilty follow a hidden-camera exposé by Mercy For Animals, an international farmed animal protection organization. Earlier this month, after guilty pleas stemming from the same animal cruelty investigation, the Honorable Justice Gary Cohen sentenced three former Chilliwack Cattle Sales workers to a total of 127 days in jail and prohibited them from having custody or control of any animal for a total of seven years. This marked the first time in Canadian history that former factory farm workers had been sentenced to jail for malicious animal abuse exposed through an undercover investigation by an animal protection organization. In December 2016, also stemming from this investigation, Chilliwack Cattle Sales and one of its owners were convicted of animal cruelty and ordered to pay fines totaling almost $350,000. Mercy For Animals praises the BC SPCA and the Crown for pursuing justice in this important matter. The cruelty exposed through Mercy For Animals’ Chilliwack Cattle Sales investigation prompted BC agricultural minister Norm Letnick to amend the BC Prevention of Cruelty to Animals Act to incorporate the Dairy Code of Practice. Mercy For Animals is calling on all provinces to incorporate the Dairy Code of Practice into their provincial animal cruelty legislation. Giving the Dairy Code of Practice the force of law will require the dairy industry to follow basic minimum standards for animal welfare. MAY 18 UPDATE – A judge sentenced the three who pleaded guilty in the Chilliwack Cattle Sales case to jail time. BC Supreme Court Justice Gary Cohen handed Travis Keefer to seven days jail and he is forbidden from being in care or control of animals for one year. Chris Vandyke and Jamie Visser were sentenced to 60 days in jail and are banned from owning animals for three years. Those sentences will be served intermittently. For the first time in Canadian history, three former dairy workers were sentenced to jail for malicious animal abuse after an undercover investigation by an animal protection organization. Earlier today, Jamie Visser, Chris Vandyke, and Travis Keefer were each sentenced to serve time in jail for violating the BC Prevention of Cruelty to Animals Act and the Wildlife Act by the Honourable Justice Gary Cohen of the Chilliwack Law Court. Visser and Vandyke were each sentenced to serve 60 days in jail, and they are prohibited from having custody or control of any animal for three years. Keefer was sentenced to seven days in jail and he is prohibited from having custody or control of any animal for a year. These landmark sentences stem from a 2014 undercover investigation by international animal protection organization Mercy For Animals. Their jail time begins today. Visser, Vandyke, and Keefer are former employees of Chilliwack Cattle Sales, the largest dairy factory farm in Canada and the subject of the Mercy For Animals investigation. Video footage from the group shows the three defendants viciously beating and sadistically torturing animals. The defendants pleaded guilty to a total of 18 counts of animal cruelty and three counts of molesting a bird. This sentence marks the first time workers at a Canadian factory farm have been jailed for animal cruelty as a result of hidden-camera footage obtained by an animal protection organization. Last December, Chilliwack Cattle Sales and one of its owners were convicted of animal cruelty and ordered to pay fines totaling almost $350,000. Four workers were also charged. Their cases are set for trial later this month. Mercy For Animals praises the Crown and the BC Society for the Prevention of Cruelty to Animals for pursuing justice for these abused and tormented animals. At the time of the investigation, Chilliwack Cattle Sales was a major supplier to Saputo, the largest dairy processor in Canada. After discussions with Mercy For Animals, Saputo adopted a new animal welfare policy for its global dairy supply chain that requires zero tolerance for malicious animal cruelty; elimination of painful tail docking; administration of pain control when dehorning cattle; and low-energy animal handling to reduce stress, especially for non-ambulatory cows. The investigation also prompted BC agricultural minister Norm Letnick to amend the BC Prevention of Cruelty to Animals Act to incorporate the Dairy Code of Practice. The Dairy Code of Practice outlines minimum guidelines concerning the treatment and welfare of cows on Canada’s dairies. Mercy For Animals is calling on all provinces, including BC, to give the Dairy Code of Practice the force of law in their provincial animal cruelty legislation. Giving the code the force of law will require the dairy industry to follow basic minimum standards for animal welfare. To view the undercover video, visit CanadaDairy.MercyForAnimals.org. MAY 17 UPDATE – The next appearance in regards to the Chilliwack Cattle Sales case is Thursday May 18, 2017 at 9:30AM in room 204 at the Chilliwack Courthouse. FVN and Mercy For Animals have verified that Travis Keefer, Jamie Visser, and Chris Vandyke, the three former employees who previously pleaded guilty, are scheduled to be sentenced. APRIL 13 UPDATE – Fines were laid late in 2016 in this case, which came to light after CTV ran a video of animal cruelty at Chilliwack Cattle Sales. The advocacy group – Mercy for Animals, has been following this case closely, as has the BC SPCA. One of the owners of Chilliwack Cattle Sales has faced fines. It is not clear if fines and/or jail time will come from the three workers pleading guilty. Fraser Valley – On Thursday, three workers of Chilliwack Cattle Sales—the largest dairy factory farm in Canada—were convicted of violating the BC Prevention of Cruelty to Animals Act for viciously kicking, punching, and beating cows, and using chains and tractors to lift sick and injured cows by their necks. Travis Keefer, Chris Vandyke, and Jamie Visser pleaded guilty to animal cruelty charges. They are expected to be sentenced in early May. These convictions followed a hidden-camera exposé by Mercy For Animals, an international farmed animal protection organization. In December, also stemming from these incidents, Chilliwack Cattle Sales and one of its owners were convicted of animal cruelty and ordered to pay fines of almost $350,000. Four additional workers were also charged. Their cases are pending. This investigation prompted BC agricultural minister Norm Letnick to amend the BC Prevention of Cruelty to Animals Act to incorporate the Dairy Code of Practice. The Dairy Code of Practice outlines minimum guidelines for the treatment and welfare of Canada’s dairy cows. According to reports obtained this year through freedom of information requests, the BC Milk Marketing Board found that more than 25 percent of BC dairy farms had failed to comply with the provincial code of practice for animal welfare over an 18-month period. Inspection reports showed numerous problems, including overcrowding, lame or soiled cattle, tails accidentally torn off by machinery, branding and dehorning of calves without pain medication, cows lying on concrete, and failure to produce a manual outlining management practices on individual farms. Mercy For Animals is calling on all provinces to incorporate the Dairy Code of Practice into their provincial animal cruelty legislation. Giving the Dairy Code of Practice the force of law will require the dairy industry to follow basic minimum standards for animal welfare. DECEMBER 16 UPDATE – Chilliwack Cattle Sales and its owner were sentenced to the maximum monetary penalty allowable by law – fines of $75,000 per count. The factory farm pleaded guilty to three counts of animal cruelty. One of its owners, Wesley Kooyman, pleaded guilty to one count of animal cruelty. He is also prohibited from owning animals and having any control over the factory farm for one year. Kooyman has vowed that such abuse will never happen again and promises changes to farm operations including video surveillance. When all the fines per count are added up, the final total is $300K. Media Release from Mercy For Animals – Chilliwack Cattle Sales—the largest dairy factory farm in Canada, as well as one of its owners were convicted of violating the BC Prevention of Cruelty to Animals Act. The company and its owner now face the maximum monetary penalty allowable by law – fines of $75,000 per count, as well as a victim surcharge. The factory farm pleaded guilty to three counts of animal cruelty. One of its owners, Wesley Kooyman, pled guilty to one count of animal cruelty. Wesley Kooyman also faces a prohibition on owning animals and having any control over the factory farm for one year. These landmark convictions stem from an undercover investigation by Mercy For Animals, an international animal protection organization, showing dairy workers viciously kicking, punching, and beating animals with chains, metal pipes, canes, and rakes. This is the first time a factory farm and its owner have been convicted of animal cruelty for the acts of their employees following an undercover investigation by an animal protection group. DECEMBER 15 UPDATE – Mercy For Animals, who have been monitoring this case, tells FVN that proceedings have been moved to tomorrow, Friday December 16, at 9:30am in room 203 at the Chilliwack Courthouse. OCTOBER 6 UPDATE – Mercy For Animals tells FVN that they are very pleased with the outcome of the appearance on Oct. 4, which resulted in confirmation that there will be a guilty plea by the company, one director, and misters Vandyke, Visser, and Keefer. The official plea will occur on December 15 and 16. For those who did not plead guilty, misters Talbot, Larson, Genereux, and Blackwell, trial dates have been set for 2017. Pre-Trial is set for April 2017 – no specific date given yet. OCTOBER 4 UPDATE – Counsel for Chilliwack Cattle Sales, one of its owners, and three of its employees stated in court that they will be pleading guilty to charges of animal cruelty at the next hearing on December 15. These prosecutions follow a Mercy For Animals undercover investigation showing dairy workers viciously kicking, punching, and beating animals with chains, metal pipes, canes, and rakes; sick and injured cows suffering from oozing infections and gruesome injuries; and workers gleefully poking and squeezing festering wounds, ripping clumps of hair out of cows’ sensitive tails, and punching bulls in the testicles. Chilliwack Cattle Sales, Canada’s largest dairy factory farm, and one if its owners will be convicted of violating the BC Prevention of Cruelty to Animals Act. In addition, workers Travis Keefer, Jamie Visser, and Chris Vandyke will also be convicted. Although the terms of sentencing have not been announced, Mercy For Animals urges the Chilliwack Law Court to sentence these animal abusers to the fullest extent of the law. Mercy For Animals praises the BC Society for the Prevention of Cruelty to Animals and the Crown for pursuing justice for these abused and tormented animals. The investigation prompted BC agricultural minister Norm Letnick to amend the BC Prevention of Cruelty to Animals Act to incorporate the Dairy Code of Practice. The Dairy Code of Practice outlines minimum guidelines concerning the treatment and welfare of Canada’s dairy cows. According to reports obtained through freedom of information requests, the BC Milk Marketing Board recently found that more than 25 percent of BC dairy farms failed to comply with the provincial Code of Practice for animal welfare over an 18-month period. Inspection reports showed issues including overcrowding, lame or soiled cattle, tails accidentally torn off by machinery, branding and dehorning of calves without pain medication, cows lying on concrete, and failure to produce a manual outlining management practices on individual farms. Mercy For Animals is calling on all provinces, including BC, to give the Dairy Code of Practice the force of law in their provincial animal cruelty legislation. Giving the code the force of law will make these important animal welfare guidelines requirements and help ensure that dairy cows receive a basic level of care and humane handling. AUGUST 16 UPDATE – Mercy For Animals informed FVN that the Chilliwack Cattle Sales hearing has been adjourned until a later date. No explination has been given so far. July 19 UPDATE – Mercy for Animals was back in court July 19, and once again, they tell FVN that the court proceedings have been put over until August. “There are 2 upcoming court dates at the Chilliwack courthouse. The first date is on August 16, 2016, in room 204. This appearance will be in front of a judge where all participants or their agents must appear except for Mr. Vandyke and Mr. Visser. The second date is October 20 and 21, 2016. On this date, we understand Mr. Vandyke and Mr. Visser will be pleading guilty. In addition, any other parties that are electing to plead guilty on August 16 will appear in front of the judge together with Mr. Vandyke and Mr. Visser on October 20 and 21. It is noteworthy that Mr. Sicotte, who is council for Mr. Vandyke and Mr. Visser, was recently retained by Mr. Keefer. As such, Mr. Keefer may also plead guilty on August 16. July 12 UPDATE – Once again there have been delays in this case. Mercy For Animals tells FVN that this legal exercise resumes July 19. May 19 UPDATE – Court has been adjourned until June 21 and returns to Chilliwack Provincial Court. The activist group Mercy For Animals will also be back in court as the trial resumes. April 12 UPDATE – The six men appeared in Chilliwack Court April 12 (first appearance) and will reappear May 17th. ORIGINAL STORY – Animal rights activist, farmers, cattle ranchers and the general public were in shock and awe when the video was first shown. Two years ago, shocking undercover video released by the animal rights group Mercy for Animals” documented violent abuse of the animals. Now Chilliwack Cattle Sales farm workers and employers will make their first appearance Tuesday as they face twenty counts of animal cruelty. They have been accused of kicking, punching, and hitting the cows while other cattle suffered from open wounds and oozing infections. Six of the employees are each charged with causing distress to an animal and failing to care for an animal. The BC SPCA says it’s the first time a company in BC has been held accountable for acts of animal cruelty on a farm. Be the first to comment on "Chilliwack Cattle Sales – Seventh (And Last) Sentence In Animal Cruelty Case"